Despite the occasionally baroque nature of French wine-labeling law, the wine press recently has been full of good news, resolved conflicts, and clarifications. Decanter.com is reporting two pieces of note. First, the dispute between Chaume and Quarts de Chaume in the Loire Valley has been resolved. 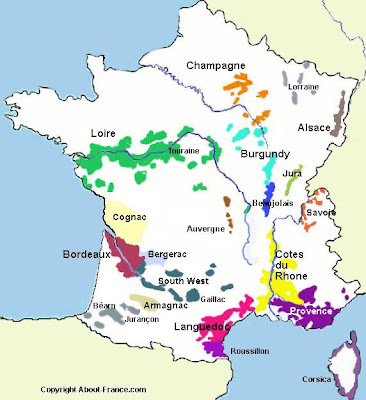 The web site reports: “The regional committee of the INAO has agreed that Quarts de Chaume should become a grand cru, while Chaume will become a premier cru.” The full article is here, but the result of this decision is important, especially considering the confusion that was caused by the dispute, and the on-going questions and misperceptions as to which one existed at what specific quality level. Clarity, in this case, seems to have been achieved. Decanter is also reporting that the rules for a revamped “Cru Bourgeois” have been approved and are set to be put in motion. What’s different this time around is that the term will be “an assurance of quality,” as Decanter reports, as opposed to a classification. For full details, click this link.